I can start your locs in one of 4 ways - each has different results and will require slightly different maintenance while you allow your hair time to lock. Feel free to text, call, or email to ask questions about each method so we can decide which is best for you. $ 85 & Up (Medium-sized Interlocked & Teased Starter Locs - This method involves teasing straight hair and interlocking it to form the base for a loc to begin to form. This is mostly used for hair that is completely straight (for example Caucasian hair). *If you want any size other than medium please text or email me a pic of your hair and I will quote you a price. 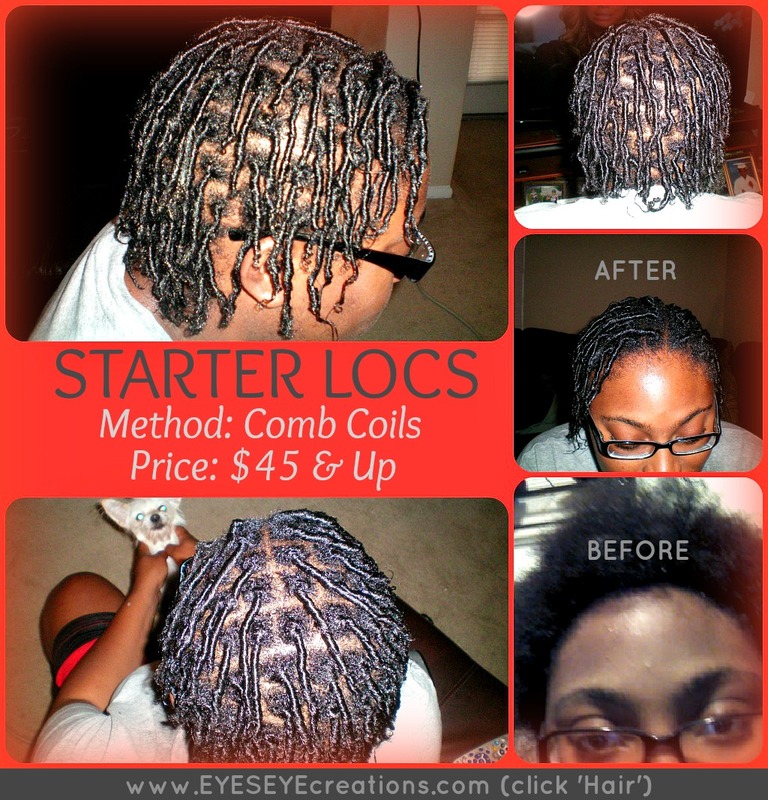 The comb coil method is the most common way locs are started. With this method, depending on your hair texture and length, you will have to be careful getting it wet for about 2 - 4 weeks from the time you get the starter coils. After your hair starts to grow from the root the loc itself will begin the budding process where the coils will slowly become more and more frizzy and untamed. During this process hair styling or getting you hair to look very neat will be difficult to nearly impossible - no worries - this is a natural part of the hair locking process. After your hair buds, the buds will begin the wrap around the loc/coil and as this wrapping process continues your hair grows and will eventually lock. With this method it is important to know whether your locs/coils have been started by being twisted to the left or to the right. A skilled loctician will know that all of the coils/locs should be initially twisted the same way. This is important because if your locs are twisted to the right to start with and then someone else twists your new growth to the left your locs will not be neat and are likely to have humps and bumps - that's not cute! So, make sure that you either keep the same loctician or you know which way your locs have been twisted so they can continuously be twisted the same way throughout your locking journey. With this method it is also okay to begin interlocking the roots after the initial coils have locked. For more info, to schedule and appointment, or if you have any specific questions click HERE or leave a comment below. 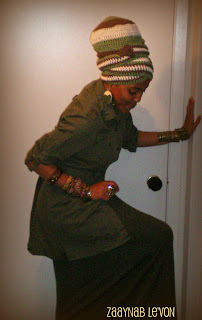 ~Zaaynab Le'Von is a licensed hair stylist specializing in locs, braids, twists, & natural hair. She has been styling hair for more than a decade. 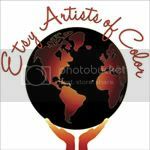 Her work is neat and professional and she takes pride in making her clientele look their best. I don't work out of a shop. My business is mobile and I usually visit my clients in their homes ( Southwest Houston and nearby areas).